Have the ultimate fun and adventurous activities for your kids to enjoy in one of the most beautiful nature-rich private domains of Mauritius. 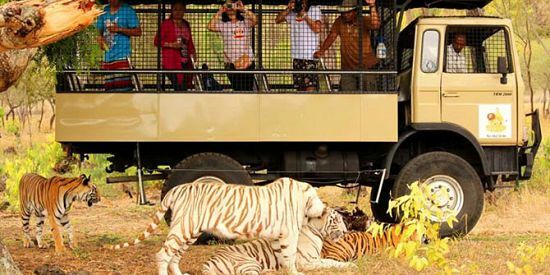 This kids day package is done in an exceptional natural reserve with rich fauna and protected wild flora. 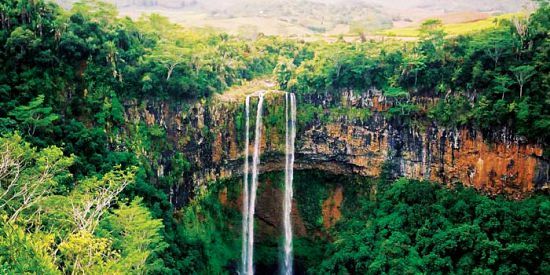 The landscape at that domaine is rather mountainous and offers the visitors spectacular panoramic views, indigenous forests, beautiful valleys, sparkling rivers, and encounters with wild animals and endemic birds. 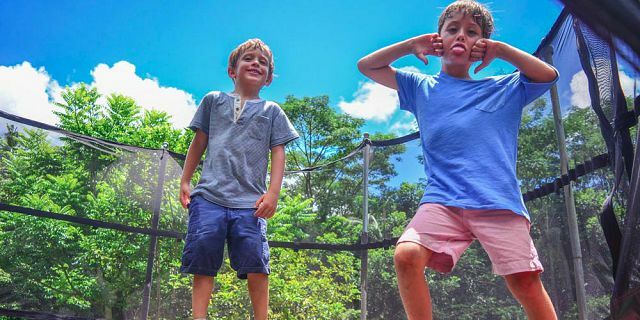 Kids are sure to enjoy the remarkable surroundings all whilst discovering the beautiful nature reserve and benefitting from the many children friendly activities and facilities inside the kids park. 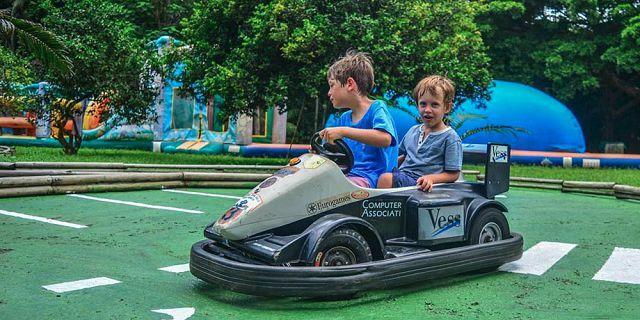 Such activities and facilities include the inflatable bouncers, the trampoline, the treetops course, the pedal go-kart, aquatic jets, car racing, pony rides, mini quads and many more. The domain counts English gardens, rivers, and indigenous woods which are rich in hundreds of different varieties of plants and trees, including the most ancient ebony trees of Mauritius and other endemic species as well as cinnamon trees, vetivers, orchids, traveler’s trees, banana trees and more. 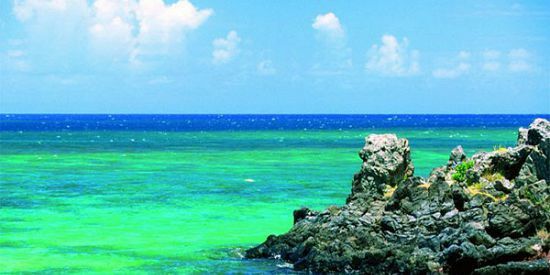 With its unique and exquisite scenery, together with the large variety of tailor-made children's programs and facilities, you are sure that your children will have a great time. For the Adults, you can choose to either stay alongside your children, or, leave them under the supervision of the qualified monitors and enjoy some of the adult activities offered at the domaine such as the Horse Riding, Quad Biking, Day Package. The kid packages are suitable for children between 3-12 years old. The duration of the package is 2 hours. 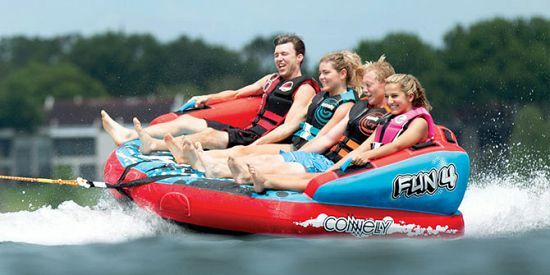 These packages consist of various children activities which your kids are sure to enjoy! The Mini City will bring happiness to the youngest ones as well as the elder children! You can be sure to see the joy and eagerness on their face once there! The best part is that as there are other children around, so it becomes more fun to enjoy the inflatable games. As for safety, you do not have to worry at all! There are 2 to 3 monitors who are permanently on duty. They will be pleased to look after the children, guide them and help them at every moment. 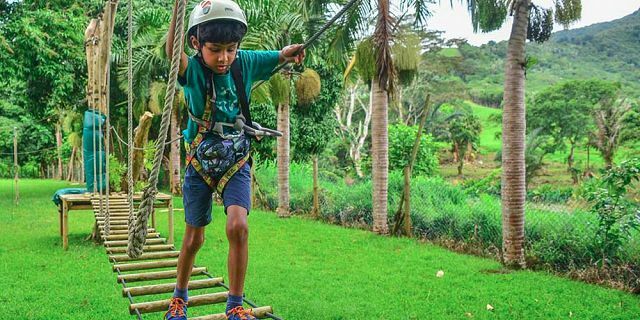 A unique tree-top cross adventure for children. 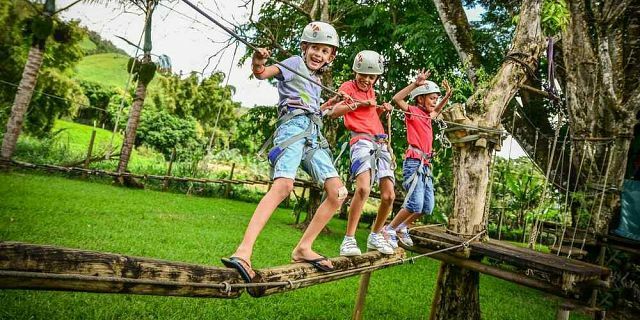 The high adventure is all about excitement, adventure and fun for your children as they follow this unique course up above (the course is elevated 1.5 - 2 meters above ground level). 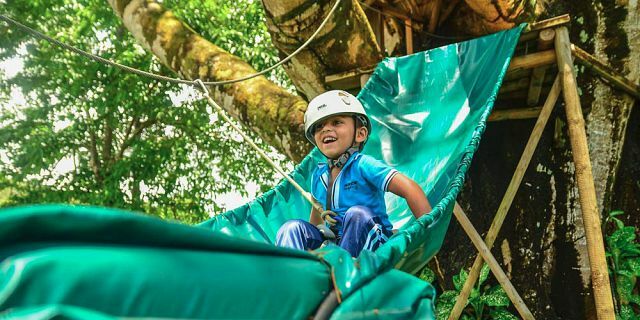 You will be able to watch your child complete this adventure course, while being fully secured all along with a secure line and a dedicated guide taking your child each step of the way. The children get to experience various activities as part of the course including rope climbing, zip lines, sliding, balance walking and many more. 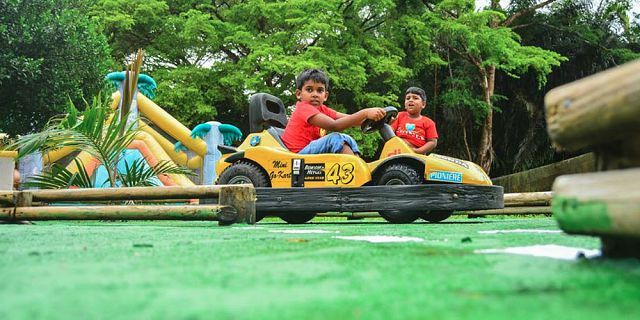 Children can play and discover a variety of mechanical activities available at the park. The children will pilot Aquatic jets on a nautical circuit; be introduced to the Segway’s Ninebot; drive Electric small cars & Pedal go-kart through specific circuits such as the small town. 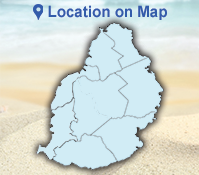 A mini quad adventure is also available for a supplement. Let your child go as fast as they can pedal with this pedal go-kart! 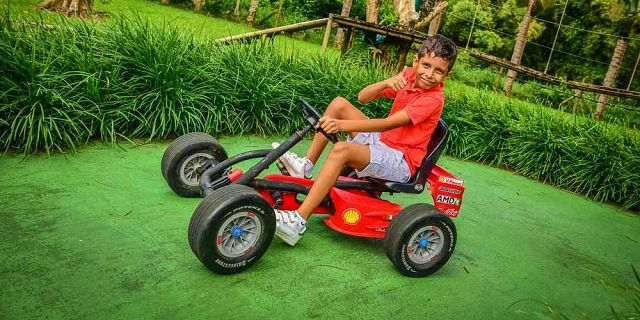 This is a smaller version of the bigger go-kart cars which is ideal for young children who want to drive go-kart cars. The pedal go-kart allows them to do so at a slower speed and in maximum safety. With forward & reverse action and a 3-point steering wheel, your child will enjoy total control of this ride-on toy. The go-kart features a lock-up brake to make it easy for your child to stop. The racing-style seat easily adjusts so your child can sit comfortably and the rubber wheels offer a smooth ride. Also known as a Jet Ski. It is it is a small jet-propelled vehicle which skims across the surface of water and is ridden in a similar way to a motorcycle. 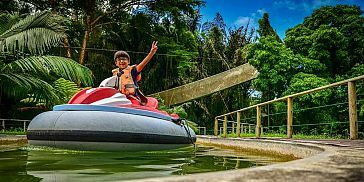 Kids will enjoy riding the aquatic jets through a unique aquatic course, splashing around and having a great, fun time. Also known as a bumper / dodgem car, it is a low-powered electrically propelled vehicle driven and bumped against similar cars in total safety. When driving through the course, your children will feel like driving on a real road through a small village following the many road turns, signs and obstacles along the way. Lightweight and self-balancing, this Ninebot is specifically designed for younger riders. Kids will be able to master this unique and small 2-wheeled vehicle easily. The guides will be present to help the children throughout the activity and all necessary safety precautions are taken. Mini quad bikes are a smaller sized version of quad bikes. 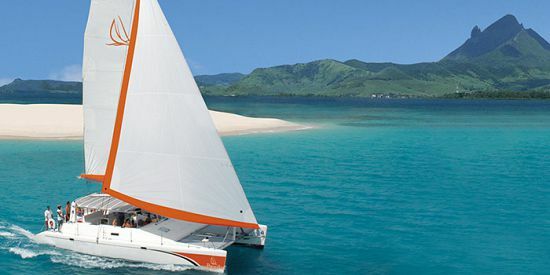 If the little ones are looking for adventure then look no further. Mini Quads will give kids a fast-paced mini adventure, whilst still in a safe environment. 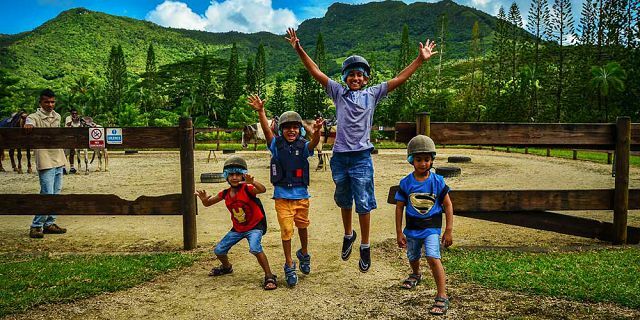 Another attraction for the children to enjoy at the Domaine is the Children Pony Ride Excursion. Supervised pony rides give young children the thrill of riding! Kids will enjoy this hand–led short pony ride that provides a wonderful introductory horse riding experience. 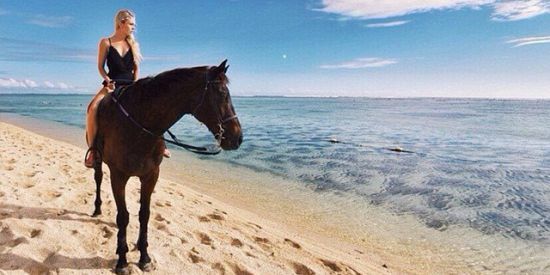 This 30 minutes Pony Ride is accessible to children between 3-12 years old. The time for the Pony Ride is flexible and can be done during 3 time slots (10h30 / 13h30/ 15h30). 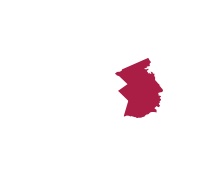 It is required to wear sport clothing and shoes. As part of the packages, the visit Ponies Park is complimentary. As such, after enjoying the activities can take the time to visit the park and admire these beautiful Ponies from close.